“English isn’t my first language, and I’m a female too, which often puts me in the minority in this industry,” explains Gülru Üstündag, who was born in Ankara, Turkey. “But everyone at Bloomberg has an open mind about each other, and I work closely with people from both engineering and finance backgrounds.” At Bloomberg, she feels right at home. 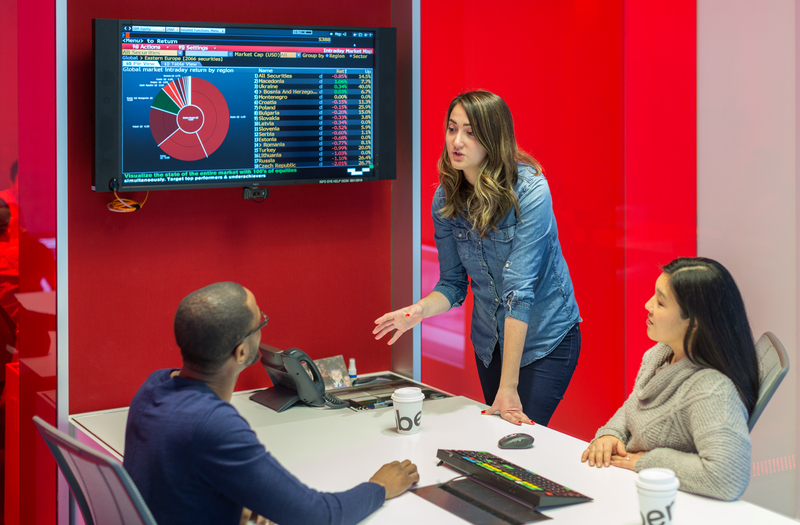 Bloomberg’s Engineering department prides itself on diversity, and the company’s culture places a high value on seeking a variety of perspectives. Gülru, who attended graduate school at Syracuse University, embodies this principle and colleagues regularly seek her out to pick her brain on any number of issues. She also performs in an improv troupe in New York City, so she’s used to being put into awkward (and humorous) situations. That made her the ideal subject for the first installment of Bloomberg’s Conversations with Coders video series, which explores the experience of working at Bloomberg through the lens of the company’s engineers. Conversations with Coders - Episode 1 - Inside the machine with Gulru from Bloomberg LP on Vimeo.